Q: I used to be able to log in, but now I can’t! Q: What do I find on the portal? A: Grades and assignments. Ways to directly communicate with teachers. 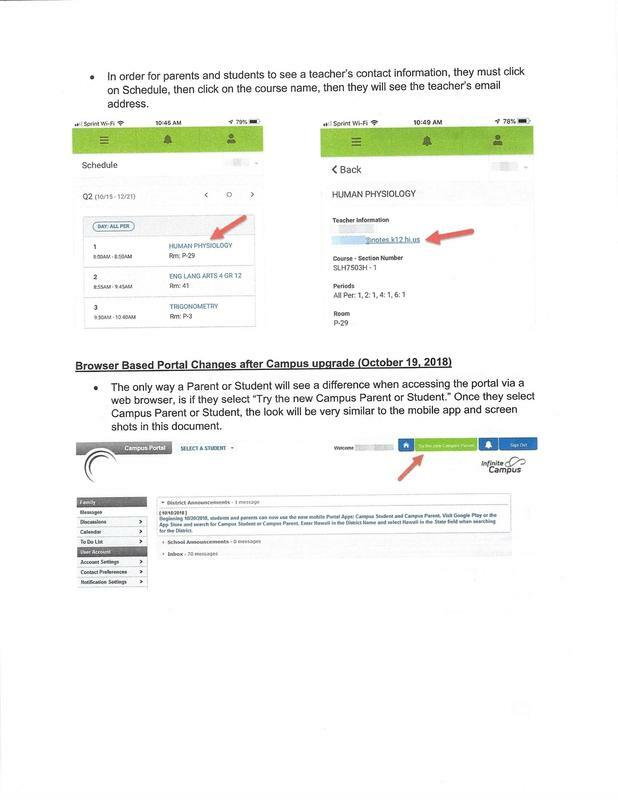 Portal announcements from the school, exclusive to the web version of the portal. Q: Why isn’t there a grade for a particular class? How often is this updated? 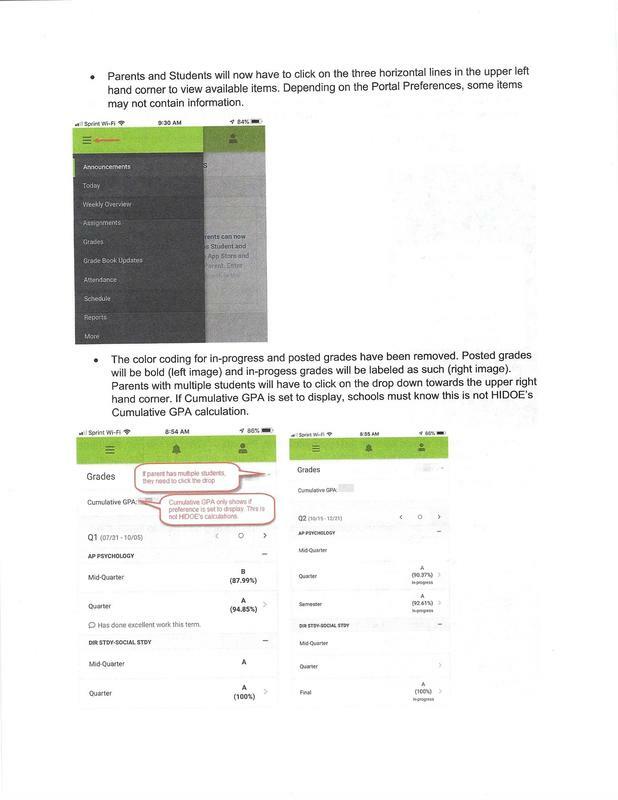 A: The teacher did not update the grade book. Certain substitute teachers do not have access to Infinite Campus. 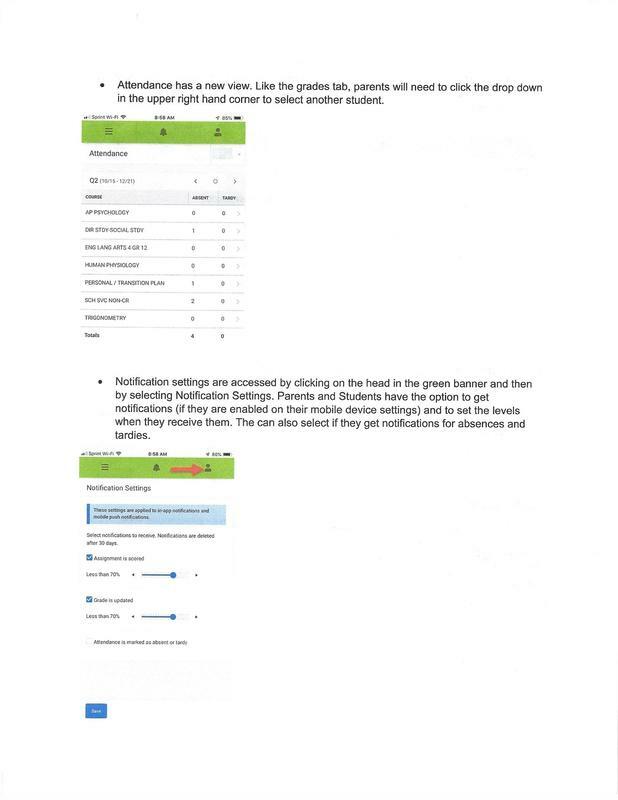 Infinite Campus is the official SIS and Gradebook for the HIDOE. Teachers are encouraged to use it on a regular basis.